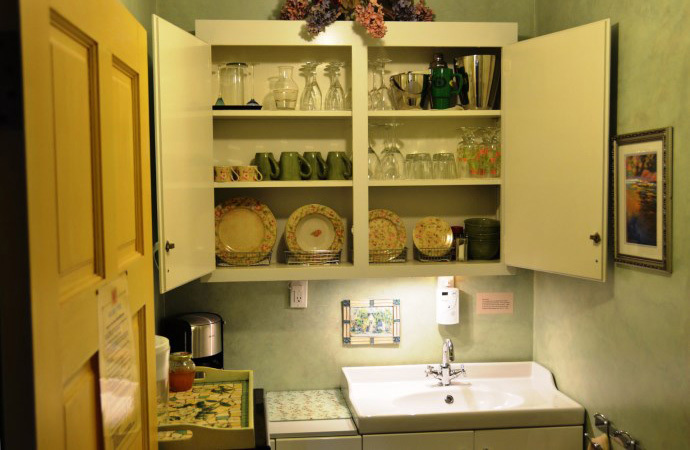 Great little cottage, a perfect gem with lots of fun details and touches, great hospitality and a friendly, helpful host. All we could want in an accommodation. 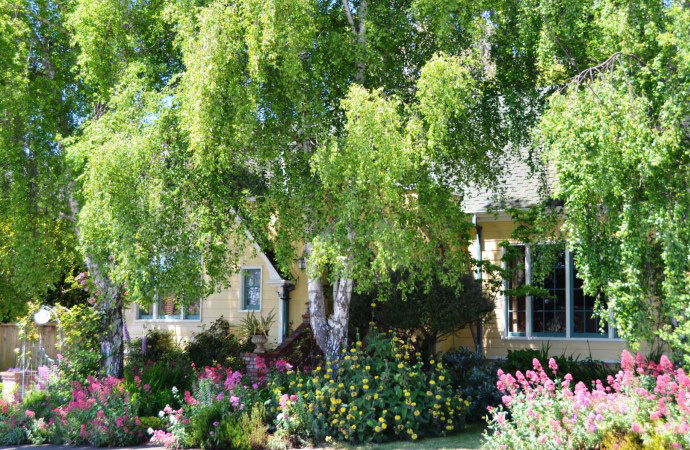 The cottage is private and very quiet, and the entry courtyard is filled with roses, a fountain, and beautiful plantings. 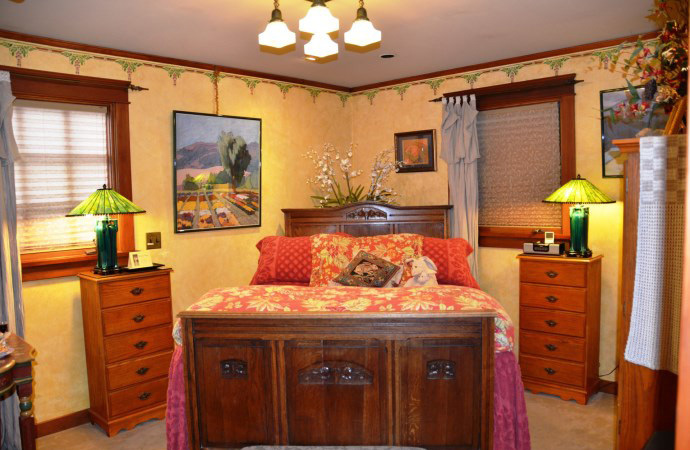 Five Star guest review on VRBO.com……. ROSE COURT COTTAGE vacation rental, which can accommodate up to 4 guests, is a street level studio/1 bath cozy cottage in a great central Arcata location, known locally as Arcata’s Top-O-The-Hill Neighborhood, 4 blocks from the Humboldt State University Gateway, northtown retail district, and from Arcata’s downtown Plaza square. This property is EXCELLENCE RATED by Tripadvisor. 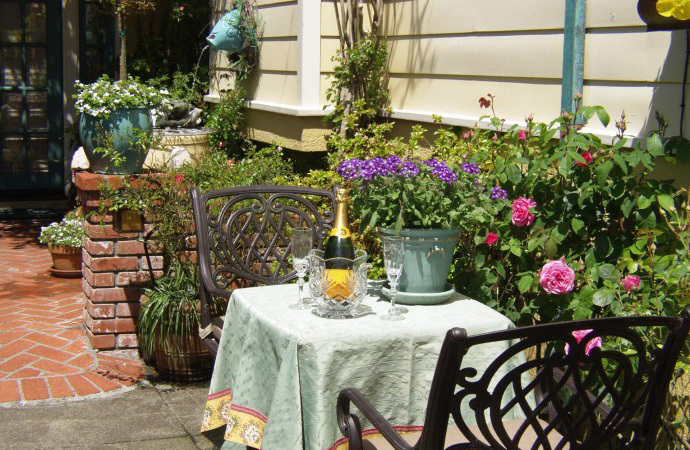 Rose Court Cottage is located in a quiet residential neighborhood within a landscaped brick courtyard surrounded by roses, jasmine, and wisteria. The interior is appointed in a richly hued motif with warm wood trim, custom faux finishing and stenciling, multi-light windows, Plein Air paintings, art-glass lighting, and sumptuous furnishings and textiles. 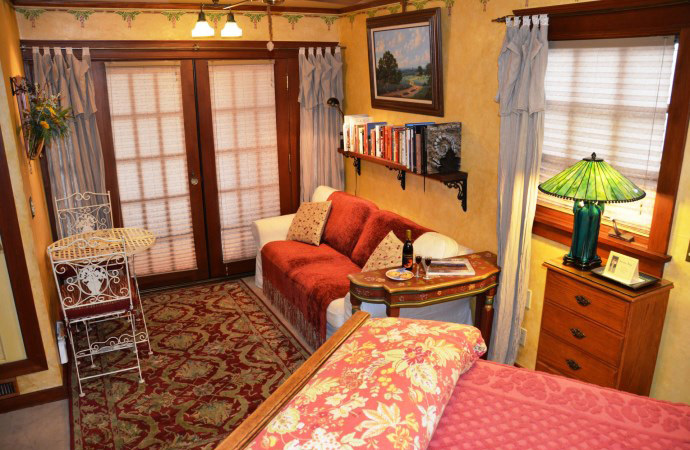 The studio’s living/dining/sleeping main room features an antique queen bed with exquisite linens, nightstands with reading lamps, bistro table and chairs, entertainment armoire, fireplace, ceiling fan, sofa bed which can accommodate 2 additional guests, and a book library. 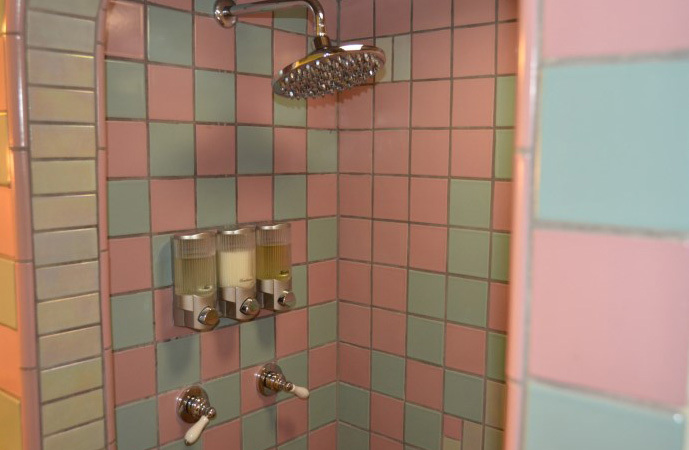 Off of the main room is an equipped kitchenette, and bathroom with tiled shower and European 75 jet shower head. Guests may enjoy their private outdoor seating area in a lovely and fragrant English cottage garden setting. 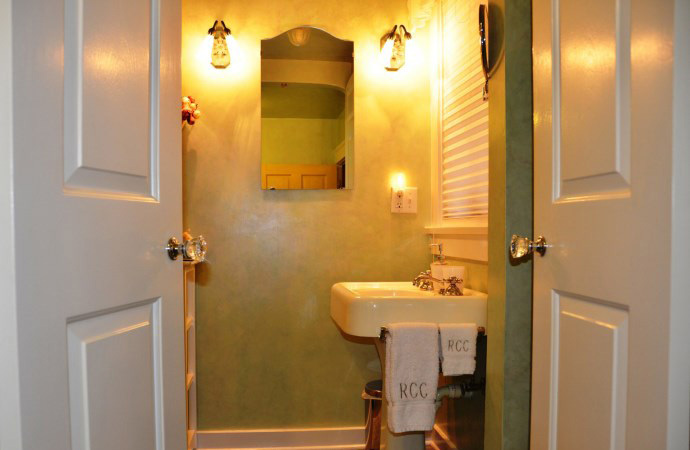 Indulge in the attention to detail at Rose Court Cottage. 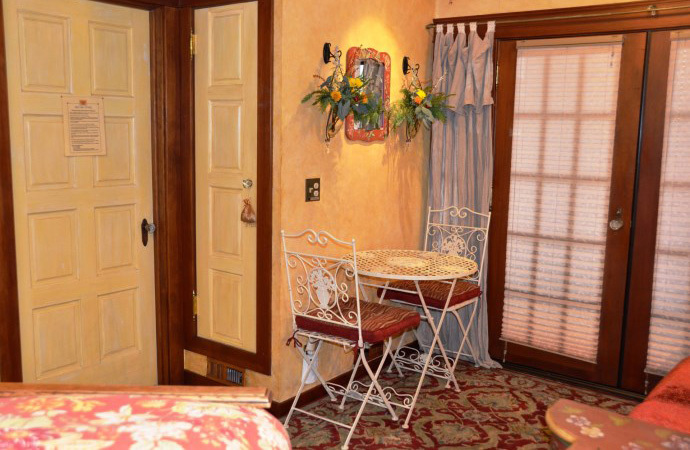 Visitors are provided thoughtful amenities guaranteed to make their stay a memorable one: high-quality bedding, memory foam mattress topper, wireless internet, flat screen TV/cable/streaming channels, Blu-ray player, DVDs, spa robes, and personal bath amenities. On-street parking is available in front of the cottage. 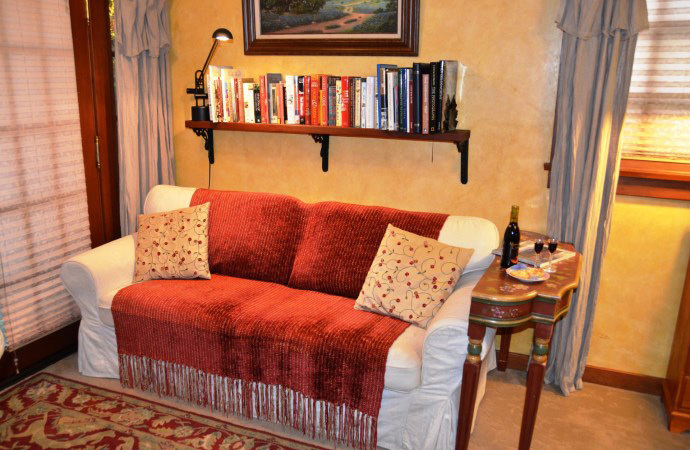 This vacation rental’s ideal location allows guests to leave their vehicle and stroll down the street to the downtown Plaza or northtown retail districts, the world famous Arcata Marsh Wildlife Sanctuary, or Redwood Park trails. Shop at Wildberries Marketplace nearby (like a Whole Foods Market, but locally owned), or if visiting Humboldt State University campus, the HSU Gateway is just 4 blocks away.